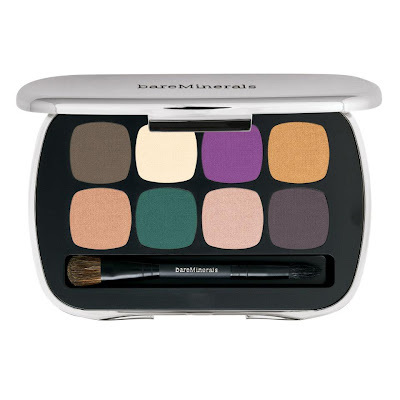 I'm seriously coveting these palettes from BareMinerals. I hope my local Sephora steps up and start selling these. Aren't they pretty? I want them all :). What's on your wishlist? 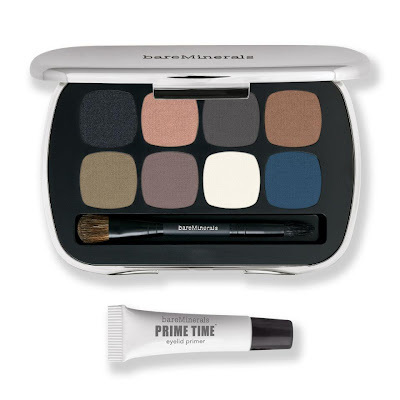 bareMinerals READY® Eyeshadow combines our proprietary SeaNutritive MineralTM Complex with powerful antioxidants, cold-pressed borage oil, caffeine and cucumber-ingredients known to deliver anti-aging benefits including reduced appearance of puffiness and antioxidant protection for a softer, smoother, revitalized eye area. It looks like a powder but feels like a cream and delivers a beautifully smooth application of vivid, long-wearing color. This fashion-forward palette of jeweled forest and floral shades delivers this season's standout looks. Learn how to create 3 on-trend looks, then mix, match and experiment for endless effects. I am very particular when it comes to cleansing. I don't have sensitive skin, I don't suffer from acne, but I can breakout like crazy if I don't cleanse my face properly. For this reason, makeup remover is a must in my routine. 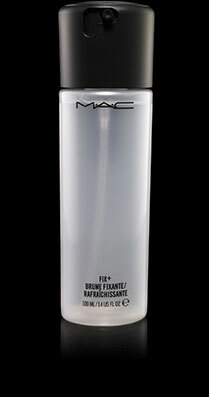 I am a fan of the MAC Cleanse Off Oil, I've been using the product to effectively remove my makeup close to two years now. So why switch to Clinique's Take the Day Off Cleansing Balm? I'm not really switching products, Clinique's Cleansing Balm is very popular and is consistently voted as one of the best makeup removers in the market, I just wanted to give it a try and see how it compares with MAC's Cleanse Off Oil. The product is solid in the jar but turns into oil when applied and rubbed on the skin. It dissolves face and eye makeup including waterproof mascara. Even though this is a balm, it is not greasy at all. It feels light and smooth, and rinses off completely. After removing my makeup with this, I wash my face using my regular cleanser. Take the Day Off Cleansing Balm and MAC Cleanse Off Oil are both great in removing face makeup. Both products are supposed to remove eye makeup too, and this is where I have issues. MAC Cleanse Off Oil will remove all my eye makeup including waterproof mascara and the thickest and darkest eyeliner, BUT when some of the product gets into my eyes, it makes my vision blurry for a minute. It goes away after I rinse my eyes thoroughly, but I know this will bother some people. I don't have the blurring vision issue with Clinique's Cleansing Balm, but it does not consistently remove all my eye makeup. Most of the time, it can remove only about eighty to ninety percent of my eye makeup. I have to use a separate eye makeup remover and Q tip to wipe off the makeup close to my lashline and inner corners of my eyes. I will be going back to the Cleanse Off Oil after I finish this jar ( if I'm not trying out another product ). I'm really not big on using a separate remover for my eye makeup, and besides, I already learned to use the Cleanse Off Oil in such a way that the product don't get INTO my eyes. I also prefer the bottle and pump packaging of MAC, I just think it's more sanitary compared to scooping the product with my finger. Have you tried any of these products? Which do you prefer? What's the most effective makeup remover you used? When I ran out of moisturizers and cleansers last week, I decided to stray from my usual staples and try new products instead. I have a loooong list of products I'd like to try, but most are either too expensive or not available in my city :(. After some deliberation, I went with good ol' MAC and Clinique. I got MAC Studio Moisture Fix SPF 15 to use at daytime, and for night, I decided to go with Clinique Super Rescue Antioxidant Night Moisturizer. I'm still very much into antioxidants in my skincare and this is a huge factor in my decision to purchase these moisturizers. I also bought Clinique's popular makeup remover Take the Day Off Cleansing Balm, I just want to find out if this is as good or better compared to MAC Cleanse Off Oil. For my face wash, I went with Olay Gentle Cleansers. I'm also into hair products thesedays, and very much in the trial and error phase. I haven't found any 'holy grails' yet. My recent hair product purchases from The Body Shop are the Rainforest Moisture Hair Butter, Banana shampoo and Banana conditioner. While at mall the other day, I went to this shop that sell random hair and beauty products. I'm not familiar with any of the brands but I bought a Cristal Serum for my hair and Nature's Bounty Argan Oil hand and body lotion. No makeup purchases for me this month (yay! ), but I did buy two eye brushes from MAC, the 217 blending brush (lovely brush, my second) and the 213 fluff brush. I can't believe that the 213 is not more popular, I'm loving it! As I mentioned, I'm recently into hair care, but I'm tired of jumping from one product and one brand to another. I would love to get suggestions from you gals and guys on which products to try. I have long, thick, wavy, dyed hair. I don't have split ends but my hair is dry. I want something that will effectively deal with the dryness. Thank you all in advance! I bought my bottle of Fix+ to use as a setting/finishing spray. I did not buy this on a whim, before my purchase, I read reviews and watched countless videos on Youtube. The 'mostly' positive feedback convinced me that I needed this in my life :). Because I use and love a lot of makeup and skincare products from MAC, I was sure that I was gonna love this too. Fans of Fix+ use it as a setting/finishing spray, a refreshing spray, a toner, as a mixing medium for makeup and even as a hair detangler. With all this uses, what's not to love about Fix Plus? I don't know if I'm doing something wrong, but sadly, Fix+ is not working for me. First of all, the nozzle does not spray a fine mist, but will spray big droplets of the liquid in a concentrated area. This is not a problem as long as I am not using Fix+ as a finishing spray. If I do I use it as a finishing spray, I end up with patches and streaks on the areas where the product hit my face. I tried spritzing my MAC 187 brush and then stippling the brush on my face to have a more even distribution of the product, but I was still unhappy with the result - I ended up looking greasy, not dewy. As a setting spray? No way did the Fix+ extend the wear of my makeup (I think it even did the opposite). After repeated failed attempts, I've given up trying to make Fix+ work as a finishing spray. I only use it now as a refreshing spray when I don't have any makeup on and sometimes I spritz Fix+ on my hair. It's not working miracles, but it's not doing damage either so I'll continue to use it this way until I finish the bottle. I was so sure that I was going to love Fix+ as the product has mostly raving reviews. I guess this just show that even a great product is not for everyone. What's your experience with MAC Fix Plus? This is my second eyeshadow palette from Kanebo. I got this a few months back, and ever since, I've been wanting to post a review on this palette. 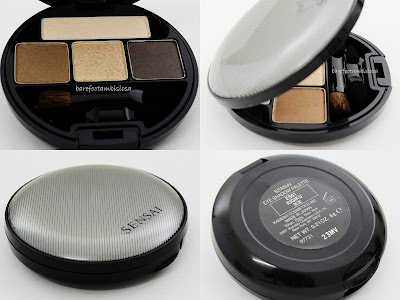 My review of my other palette Kaede Momiji is here. 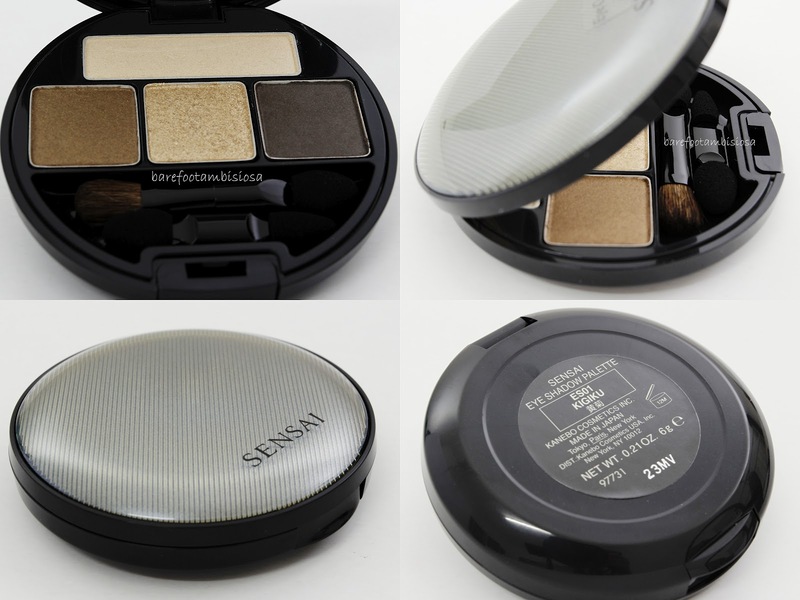 Like most Japanese makeup, the Kigiku palette is all about being subtle. Although the colors are pigmented, you're not going to get that 'in your face' color pay off. Even the glittery accent shade in the middle is toned down. 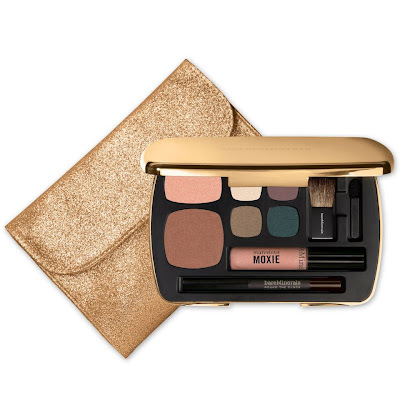 Lovers of neutral, earth tone colors will surely appreciate this palette, not only for the flattering colors, but also the formula. The eyeshadows have silky smooth texture and all are a joy to apply. I never had issues with fall out even with the glittery shade. Kigiku has an iridescent cream color, a gold-flecked bronze, a glittery gold, and a dark gray-brown. My favorite here in the glittery gold shade. I'm not into glittery eyeshadows, but I have to make an exception with Kanebo. I love the the glittery shades in both palettes that I have. Kanebo has a way of making glitter look good, never over the top, and this is consistent in all their eyeshadow palettes. Kanebo is fast-becoming one of my favorite brands. Last month, I purchased a BB cream from Kanebo's Kate, this is my first BB cream so watch out for my review. What are your favorite products from the many brands under Kanebo? Forgive the crappy swatch pic above. I had a really hard time taking swatch photos of the eyeshadows. I think (?) the colors were blending on my my skin a little too well. I tried taking photos with two different lenses, but my camera had trouble focusing, and the windy condition outdoors did not help at all :(. Just sharing my list of tried and tested makeup products.You can view the complete list on SkinnyScoop.